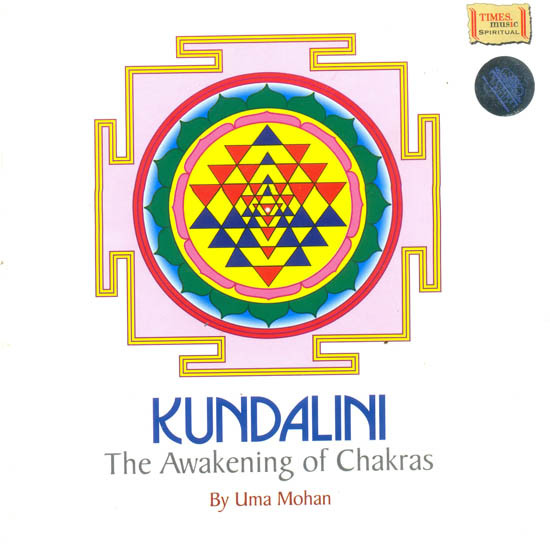 “Kundalini – the Awakening of Chakras” provides the key to maintaining wellness and balance by providing effective tools for the removal of any blockages in our chakra system (or “wheels of light” –spinning vortexes of energy contained in each of us) to achieve radiance in body, mind, and soul. Album contains a detailed booklet with images and description of each Chakra that will take you on a powerful journey toward healing. This album is a confluence of various ideas of spiritually awakened people Avatars and Gurus who have given the world easy techniques to reach the goal, which they themselves have acquired as experience and as a result of a divine benediction. The Album has been set to a natural tempo of 60 beats per minute, which is the flow of time and rhythm of creation. To awaken the energy centers, various schools of thought, prescribe the vowels and bija mantra, which have been meticulously used. While chanting the bija mantra remember to keep the tongue in contact with the upper palette, blocking the air passage of the throat, so the sound Lam or Vam etc will sound like Lang or Vang etc. Adhi Shankara’s Saundharya Lahari has been interwoven to enable the experience of each Chakra to become a real one, as the great saint has described, as he journeys through the chakras. The pictures and colours have been provided to aid visualization. Since this is an experience of all the five senses, the sound, the feel, the picture/colour, the taste and smell of this whole experience is to be cherished. It is advised to use a mildly scented, cool comfortable place to do this meditation. Ragas and Sur, have been chosen to help such automatic rising of the Kundalini. Every sound in this album has been thoughtfully designed to give the listener an audio-visual feel of the Chakra. The one-hour voyage starts with Pranayama, goes through the seven Chakras and ends with the Kundalini Avarohana (bringing down the awakened energy) and elucidates the powers and experiences of Jeevan Mukthi. This is an album, which is intended for oneness and expansion. It is important to source into the higher consciousness and experience this wholesome flow of energy, which is the birth right of every human. History- Chakra in Sanskrit means “Wheel” – the physical vortexes of Pranic energies and Kundalini means “Coiled” – the Spiritual energy that lies coiled in the base of the physical body. The Chakras have been first mentioned in the Vedas, which are the oldest written tradition in India, 2,000 – 600 B.C. It is also discussed about in the Yoga Sutras of Patanjali – 200 B.C. The Chakras and Kundalini came to be an integral part of yoga philosophy in the tradition of non-duality – (Advaitha), which arose in the 7th century. Though the origin is ancient and spiritual, Kundalini yoga has been scientifically adopted by various cultures and has proven very beneficial, and empirically applicable. The Caduceus is a symbol of the Greek God Hermes (the messenger of the Gods to man) and also used as a medical emblem, denoting healing, and vitality. The Caduceus is indeed the depiction of the Serpentine energy – the Kundalini Shakthi, which is represented, by the Ida Nadi (serpent on the left of our body), Pingala Nadi (serpent to the right of our body) and Sushumna Nadi (the central winged staff). These are, in traditional Indian medicine and spiritual science regarded as the channels through which, Prana-the energies of the subtle body flows. They connect/intersect at special points of intensity called the Chakras. Ancient Chinese and Japanese medicine is also based a great deal on Chi or ki/qi energy, which is comparable, since Acupuncture and Pranic healing are done on these energy conduits and centers, the Nadis and Chakras. The Shri Chakra and the Maha Meru are two and three dimensional, Yantric (physical) depictions of the Kundalini Shakthi – the power with which one is able to reach altered states of consciousness, being able to heal ones own self or perform several paranormal actions which elude scientific comprehension, as they are topics beyond the logical and skeptical limits of the mind. The phenomenon can only be experienced as we experience feelings. This experience, has to be ones own, just as the taste of sugar has to be experienced to know sweetness.